Wash chicken and dry with a paper towel. 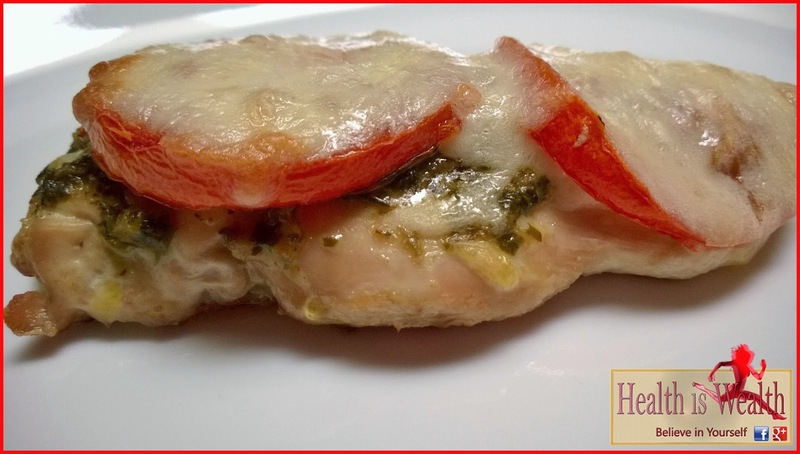 Slice chicken breast horizontally to create 4 thinner cutlets. Season lightly with salt and fresh pepper. Preheat the oven to 400° F.
Place the chicken on prepared baking sheet. 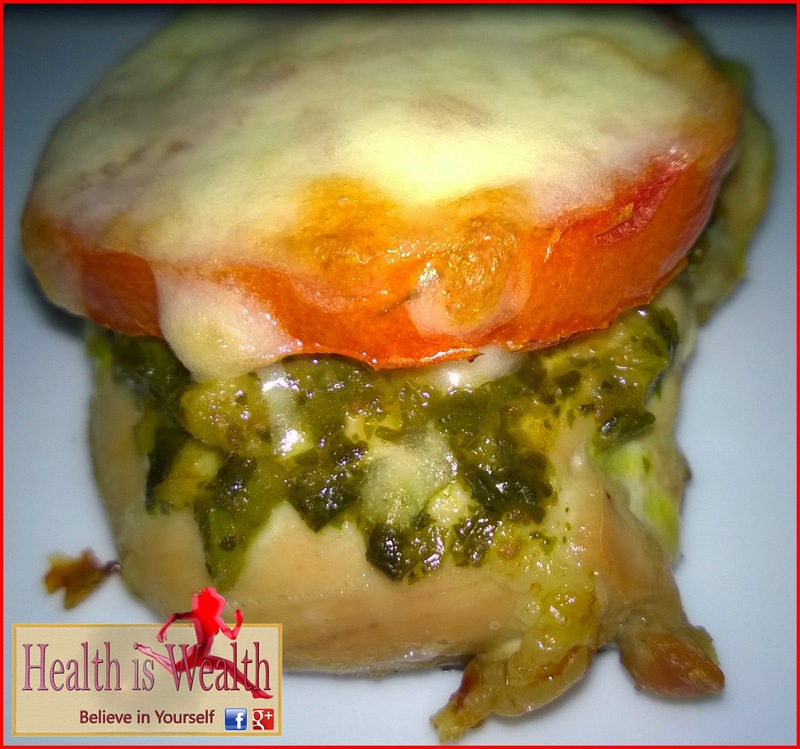 Spread 1 tsp of skinny pesto over each piece of chicken. Bake for 15 minutes or until chicken is no longer pink in center. Remove from oven; top with tomatoes, mozzarella. 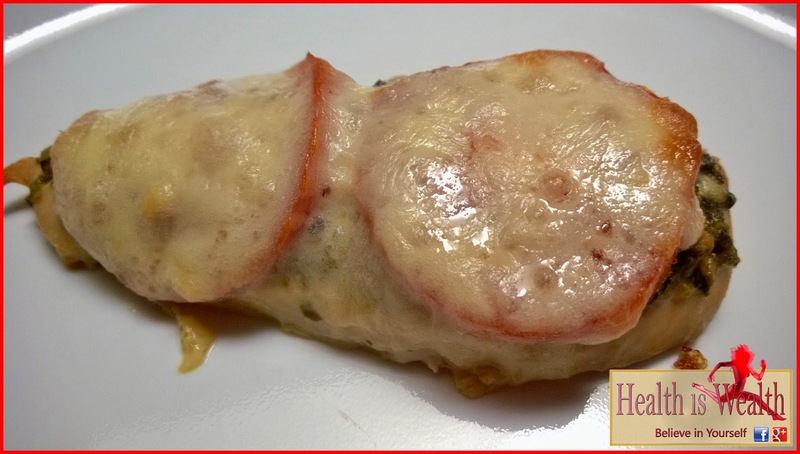 Bake for an additional 3 to 5 minutes or until cheese is melted. Enjoy!